With the Fujinon 14X40 Techno-Stabi IS Binoculars, you can enjoy crisp, clear optics whether you're on land or on the water. These binoculars feature an innovative technology that stabilises images in the viewing field, so that the back and forth rocking of a boat, a shaking hand or reverberations from machinery do not impair the viewing experience. You can hold these binoculars in any position and get a perfect view of whatever lies ahead. When powered off, the binoculars function as top-of-the-line manual binoculars, making them a reliable solution for taking along on all of your activities. 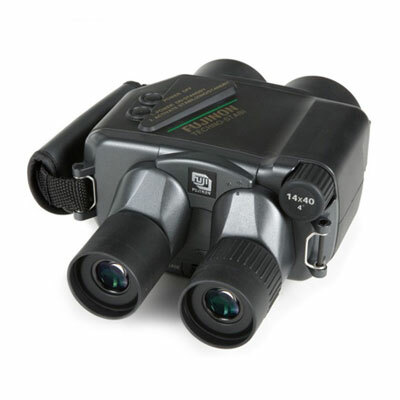 Highly durable, the binoculars are waterproof, shock-proof and fog-resistant. Plus, they are buoyant, meaning they will float if they are dropped in water. You get all of these features in an incredibly lightweight design that won't weigh you down when you're on the go. After weeks of research, it came down to either the Fujinon 14X40 Techno-Stabi IS or the Canon Binocular 15×50 IS. I finally purchased the Fujinon 14X40 Techno-Stabi IS binoculars due to it being waterproof and fog free features. I have used this binocular to view aeroplanes and it’s so clear you can see exactly what type of plane it is and it’s origin. Viewing things from 10km appears to only be 100m away. Super sharp images and the colours are so vivid. It looks better in real life than illustrated on the photos. Comes with a nice soft carry case. Made in Japan! High quality product. 60.0 – 70.0 mm / 2.4 – 2.8"